On a 16-acre turf research facility at the University of Minnesota in St. Paul, there is no Creeping Charlie --- a weed that is the most common problem in Minnesota's home lawns. That's because the land has absolutely no shade. "Any increase in sunlight will help out quite a bit," said Sam Bauer, University of Minnesota Extension educator who specializes in turf grass science. "If you're in a situation that's 75 percent shade, then getting it to 50 percent shade will go leaps and bounds for your turf. If that's what you want there." 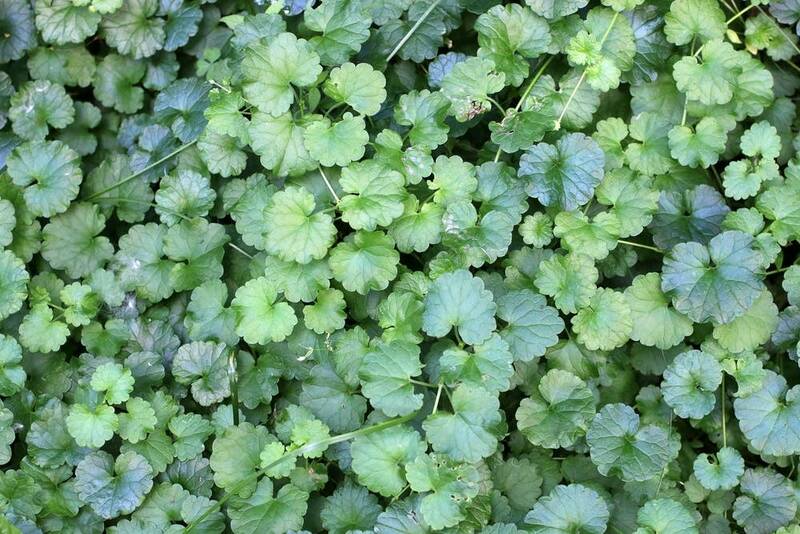 He explained the Creeping Charlie, also called Ground Ivy, thrives in shade and high-moisture environments. The recent heavy rainfall has not helped in that scenario to lessen moisture from soil. Creeping Charlie lives year-round and has above-ground stems that creep across the ground and form new plants, and it can take over grass types that don't grow well in shade, Bauer said. Switching your grass to a type that grows well in shade will help keep it from being taken over by the weed, he said. Bauer said the most effective way to rid your lawn and garden of it: prune trees or shrubs to allow sun onto your lawn. But many of us don't view ripping out the bushes, or felling our trees and or our neighbor's trees as a good option. When it comes to Creeping Charlie, there are no easy one-shot solutions. Pruning can be expensive - many would have to hire a company for that, but it's basically choosing between large trees and shrubs that bring lots of shade, or living with Creeping Charlie, Bauer said. "So you kind of have to choose your battle," he said. Karen O'Conner, owner of Mother Earth Gardens, the Minneapolis store that focuses on organic gardening, said it's pretty difficult to eradicate Creeping Charlie without using herbicides. "It's a really difficult thing to get rid of," she said. She said you basically have to pull the weeds out manually. "I think it's worth it to try to keep it under control," O'Conner said. "But I also think if you're going to have an organic lawn and garden, a little bit is learning to live with imperfection...that's part of organic gardening: living with the cycle of life --- the good and the bad." Some people try to get rid of it by pulling up their whole lawn, adding fertililizer, and then putting down new grass. Organic gardening definitely helps on its own, too, she said. "The whole focus of organic gardening is increasing the health of the soil, so you can have healthy plants instead of opportunistic plants like weeds," she said. Bauer of the University of Minnesota said he encourages people to leave Creeping Charlie in areas where it's acceptable to them, to reduce the amount of herbicide going into the environment. Herbicides used for Creeping Charlie can turn into gas vapor and go into the atmosphere, or an active ingredient can break down into the environment and be harmful to things like ground and surface waters ---- depending on the ingredients that are used and their toxicity. SH: If all else fails : Using herbicides If getting rid of shade is not an option, people can control the Creeping Charlie by treating it with herbicide in the fall --- the prime time that the weed is actively growing and can absorb the herbicide best. Look for herbicides with an active ingredient called triclopyr, Bauer said. Fall is the best time because it's when the weeds are actively growing, and the herbicide would get carried to their roots to help kill the entire plant, he said. "If you're going to be applying an herbicide to control Creeping Charlie, but not adjusting the situation (to remove shade or excessive moisture), then unfortunately you're going to have to be applying that same herbicide every single year," Bauer said. "And that's not really a situation that we want to get ourselves in." If you're going the route of spraying herbicides, they will absorb the herbicide much easier since the recent rain and moisture are putting the weeds into the "actively growing" state, according to Sonja Anderson of the Lawn and Garden Department at Gertens in Inver Grove Heights. Anderson specializes in turf grass and prairie. There are two types of herbicides to choose from: selective weed killers and non-selective, she said. The first is for your lawn; it kills broad-leaf weeds without hurting lawn grass --- like Bonide Weed Beater Ultra and Fertilome Weed Free Zone. "You want the temperatures to be in the low 80s so you don't burn your lawn grass, and it has to be a dry day so it can dry properly," she said. For gardening, a non-selective herbicide should be used --- like Hi-Yield Killzall --- but it can kill other plants, too. That's why she suggests taking cardboard or plastic, making it into a cylinder, and putting the herbicide over weeds that way. If weeds are too close to other plants, they should be manually removed. "We've got a lot of tools now that you can use to actually remove weeds with roots intact," Anderson said.